I wrote a lot about high-speed train. Not to mentions the tens of articles on Maglev. When I dreamed about going to Beijing via high-speed train, and thought highly about the mega-project, the train crash last night which killed 33 people really put me into deep thoughts – another type of thoughts. China has been pursuing speed. Faster, the better. It hold true for train speed, car speed, economic growth, accumulation of wealth. The society is just running at top speed with no safety measures. It may crash at any time. Not just train, but the whole society. It is the time to slow down a little bit. Daily report is a great way for people to do some meditation, and review what happened during the day. In my company, many new hire write daily reports, as communication and summary. What about my daily report? Breakfast is one of the details we need to pay attention. In my so many years of running a company, free breakfast is the single highest ROI benefits I have ever tried. It helped the team to save time, foster communication, and increase the level of happiness. We should do more things to make the breakfast and other small benefits like this better. Free drink is another benefits that wildly spread out in the bay area among Silicon Valley hi-tech companies, and recently are the free meals (with nice chef)… We should increase the standard of the company to the next level. One of the productivity tip I got is, always send meeting request, send short update the time you think of, and don’t delay. In computer world, swapping memory out of disk is a very high cost activity. In our brain, we should also avoid switch context when it is possible. Like today, after a phone call, I should have sent a very quick note to other guys for the update, make an appointment, and confirm a meeting. Those didn’t happen, and I was dragged into another meeting, and that didn’t happen until deep in the night. Something managers should do is to set goals, and mobilize resources among different priorities, and not neccessarily thinking about solutions on behalf of the team members. If something need to happy, ask two questions: 1. Do we have the right metrics, or goal for this. 2. Do we have the resource ready for the team to go for it. If the answers for these two questions are both true, very likely, the goal will be reached (provided you have a really good team). The efficiency of a discussion is always constrained by the slowest brain. Try to set the standard and keep the bar high. Don’t compromise. Never. I am amazed how hard it is to setup the system, and how easy it is to follow a system. The current interview process is still a clone of the Microsoft system, and I believe there must be some improvement on that. The other day, Ann gave a very good point that hiring is all about the priorities. No one is perfect. Just choose those that you cannot compromise, and put them high to the requirement list, and really check that, and then let the other lower priority requirement go. People are perfectly imperfect. Just choose what you want most, and don’t be too greedy. Also, communicate the priority list, compare note among managers, and interviewers to make sure you really act as a team to choose the right person. As a matter of fact, no one can succeed in all aspects. When there are more people, we need to consistently change the format of communication, and innovate about how to run a company. The same format working for one team size, does not work for larger, or smaller team. The key is to get the spirit of many activities, and change it for the environment. For example, when we have more people, a big circle of all employees to gather every second week does not work. Even two separate circles cannot make it working well. Need some time to fine tune it. Culture of a company need to be passed on, and one of the effective way to do it is to pass on quotes, and stories. Office environments are very good point to get started. We will have a wall of the famous sayings in the companies, and printed it out with the person who coined it. For example: The speed of code must match the speed of thoughts. P.S. I watched the India movie Three Idiots. Yes. Very nice one, but I wondered why a 2009 movie get so hot in China after two years. Disclaimer: I am trying to tell a joke – a humorous way to illustrate the problem of Shanghai’s traffic. Do not treat it as a tourist guide. It may cause serious danger, damage, or death. Traffic rules you have to follow in Shanghai. Yield at Red Light. Red light in Shanghai does not mean stop. It means yield. When pedestrian observe red light at cross street, they must stop first, look left and right to make sure there is no cars, and they cross the street. BTW, do the same thing for green light. It is Illegal to Use Pedestrian. Always choose the section without zebra to cross. Don’t touch the zebra with your foot. Horn when you see people on Pedestrian. This is to show your respect. The First to Mover Has the Right of Road. When you are turning right to merge into the main road, be fast to rush into the road, to get the road first to claim the right of road, and the upcoming traffic has to full stop to yield. The even better way is to rush into the road before looking left for upcoming traffic, to make sure you get the right of the road every time. What an amazing change! It has been a long time since I have ever expected the launch or release of something. Mac OS X Lion and MacBook Air are what I am expecting now. There is rumor that they will be released tonight (morning of US time). What was the last time I was so excited for something? Windows 2000 release? I’d like to show my respect to Jobs, who have left Apple, according to him, to really think about the value of life, and back to Apple. I am sure because of his health condition, money and fame are no longer the reason for him to design, but he really made it possible to create something that is so wonderful. He is just great. The Apple Store in Shanghai is in its normal status as we passed it tonight – no lines, and nothing special, but I guess tomorrow, it will be different. I wrote about Why I won’t return my MacBook Air and Why I WILL return my MacBook Air. Then I realized how hard I am to make simple decisions. Surprisingly, I found Yifan is so calm and sure to make decisions. Whenever he enters a toy store, or stationary store, he knows exactly what he wants, and he just want that specific thing, nothing else. He just won’t change his mind of what he wants to get, regardless what others say. Amazing! P.S. It is official. After I hit “Publish” button of this blog, I saw the home page of Apple changed to “The new, faster MacBook Air”. Wonderful. It is real. MacBook Air is release, with Lion. Bingo! I will go to the Apple Store to get one. The 13′ 128GM is priced at 9998 RMB, but the online stores says there is nothing in stock, so I cannot buy it now. But I will when it is available. At the same time, Mac OS X Lion is available for download in App Store. Wonderful! I am downloading it now. I did the experiment. 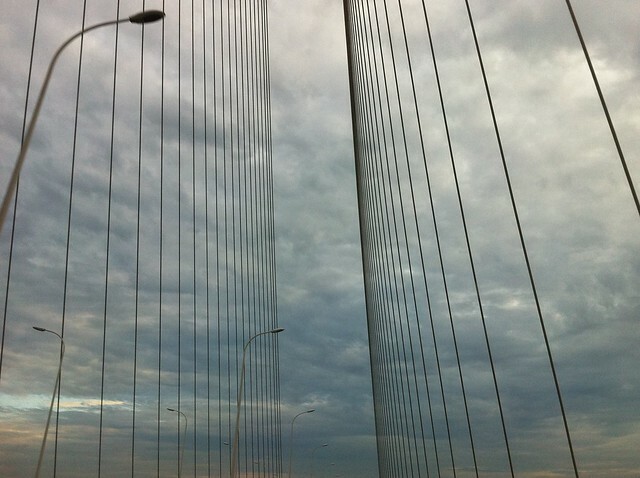 To show my family Chongming, I drove from my home at 5:00 PM and went to Chongming via the Shanghai Yangtze Bridge and Tunnel, and get back to home at 6:30 PM. It takes about one and half hour to make a round trip to Chongming. What an amazing trip. I love the wide 3 lane tunnel that crosses the river, and the 10km bridge. It cost 100 RMB for round trip, but compared to the silly round Lujiazui tour bus, the trip is more recommended for people who want to experience the Mega side of the city. It is another Mega Project in China. From time to time, we need to do a refreshment about what we are good at, and what we enjoy most. Why that matters? It is the foundation of our life, and it is what we can enjoy the process and contribute more. 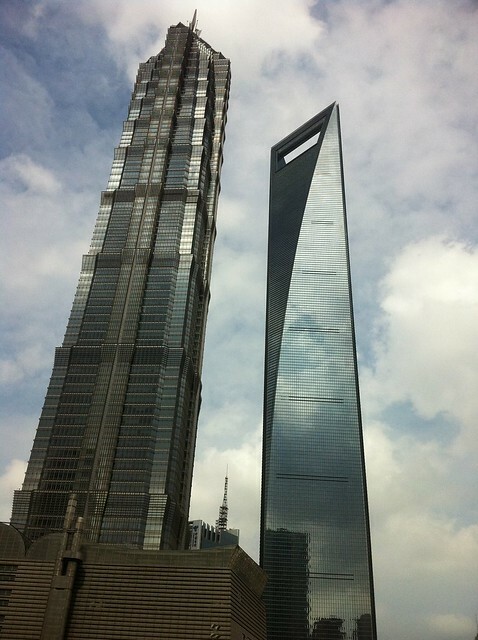 Something to observe – in Shanghai, the frequency of changing lanes on the road is very high, if not a constant action. People will shift from one lane to another, and to another, and back and forth, all the time. The frequency of the same action is so low in the bay area. Generally people need to change lane just few times in the whole journey. For example, get onto the University Ave, follow the one lane street, and choose the lane going to US-101 later. Keep the lane on the right before getting the ramp exit, and then follow the lane to hotel. That was a typical route. Drivers’ behavior difference is obviously the reason, maybe the only direct reason, but there must be deeper reason for the difference. What are those reasons? Speed difference of cars. Look at the cars on road of Shanghai. They drive in completely different speed. Some drive at 60 km/h, nearby cars are running at 80km/h, while others just cut into the road with 20km/h (because they don’t yield at turn). The majority of the cars in Shanghai are still manual shift, and drivers have completely different skills since new drivers are of much higher portion in a fast increase auto car market, that caused the speed difference. The faster cars have to change lanes almost at every time it passes a car, to keep the same speed. The lack of speed limit is also the reason. Some cars enjoy the freedom to drive much higher speed than required, making it hard to form a generally accepted speed. The road design is also an important factor. To drive in Shanghai, you have to constantly switch lanes to get to your destination. There are more merges of lanes in Shanghai, and the buffer length left for the driver is short. You are forced to merge into another lane or change a lane. I have once tried to follow the way I drive in the States – choose a lane and stick to it. It is just impossible. It is generally much easier to drive in the Silicon Valley because of the planning of lanes to allow cars to stick to a lane as long as possible, and there are fewer merger, and a lot of fork. And there are a lot of signs to help drivers to merge (“THROUGH TRAFFIC MERGE LEFT”). That avoided a lot of last minute switching of lanes. I believe in the future, when most of the reasons change, cars in China will follow the internationally accepted rules, and will not need to change lanes as frequently as now. When the general quality of cars get better, and transit to auto shift, and the adoption of cruise (even for a small percentage of the cars), that may help to stablize the speed. Meanwhile, when the portion of new drivers (less than 5 years) go down, people will tend to choose the easiest, and less effort consuming way to drive, more people would not bother to switch lanes to get a little bit ahead of others, it should be OK.
For the road design, when the cars number reaches to a threshold that makes the optimization of the road system is economically feasible (build more ramps, build via-duct, and more signs), because the same change can benefit twice or more cars than today, that also help to avoid the need for drivers to change lanes. I am a happy observer and thinking of all the small difference between my world and the world I am less familiar with, and most of the analysis leads me to be optimistic about the future of my world. We don’t need to take care of time zone issue when we don’t travel, and have no contact to the world outside our own. But the world changes. We fly around the world, and we have conference calls instantly connect the both side of the ocean – effectively confusing us about the time zones. In this article, I want to share some of the useful tips about remembering time zones. United States uses day time saving. I am happy that China do not use it the confusing system – otherwise since they started on different date, it will be even more complicated. Think about Arizona! They are in Mountain Time Zone, but does not observes the Day Time Saving, so the time difference between California and Arizona changes from 1 hour in winter to 0 hour in summer. In summer, it is easy to remember that watches of guys in US is 3 hours behind of China. PDT (Pacific Day Time) is actually 15 hours behind of China (UTC-7 vs. UTC+8), to make the calculation simpler, I just remove 3 hours from China time, and switch morning and night. For example, currently it is 7:10a in Shanghai, and it will be translated to 3:10p in California, today. Other ways I remember the time difference is by remembering some key moments. For example, I always remember that at the time California people started to leave office, the people in Shanghai start to work. It is in well sync, without 1 minute of delay. Based on that moment, sometimes scheduling meetings is easier. The other special moment is mid-night of China is the starting point for people in California to work – 0:00 AM in Shanghai maps to 9:00 AM in PDT. The most sensitive time to get aware of time zone is the time when I just travelled. For example, although it is just early in the morning, I have a sense that it is beautiful afternoon of California, with the Sun set few hours later. People are busy calling each other, work on Excels, at the exact moment. That becomes very real feeling, not just by theory. Basically people have the ability to live in another time zone if you keep calling people there, and keep constant connection by Skype or video conference. That is exciting experience for me. Europe? I have never been to Europe and really have a hard time to establish that type of feeling of presence. By theory, Berlin, which I called most often, is 6 hours behind us at the current moment. So I always remember the best time to call Berlin is 6 hours after I started to work, which is 3:00 PM. Now it is official: I will get to airport for any travel 2 hours before departure. That is the law now. The past experience shows that the practice works well. There are several reasons. A long line at check-in counter, and a slow attendant/a slow customer, or both can easily cost 30 – 60 minutes (As I did this morning at American Airlines SFO counter). Other things may happen. Just before I returned my car, I realized that I didn’t fill in the gas yet. So I exit at a unfamiliar exit of US-101, only to find myself lost in the curry roads. After get a gas station, they do not accept my credit card (expected), but the counter was closed due to July 4 holiday (surprise!). Then I need to find another one. Things do happen. So prepare for it. The upside is, airport wifi (free in PVG, SHA, and 45 minutes free in SFO), and good Internet client like iPhone and iPad, I can be as productive and as happy at airport. That is the reason to prompt me to fix the lead time and stick to it. The topic of buying a MacBook Air, and Why I Won’t Return my MacBook Air is getting more and more interesting. When I am thinking through it, I surprisingly find how a single decision relates to a broad range of topics, including the valuation of time, decision making process, losing face, desire for the better. Let me examine these one by one. The key reason I won’t return the MacBook Air is about time. Waiting for another two weeks, and also bear the risk of initial shortage of supply, or even longer if I want to ask someone to buy it from Palo Alto and bring it to Shanghai to save about 10%? Or imagine enjoy the new laptop right now at desk of my hotel, at SFO airport, on plane (I heard the battery last for 7 hours which fit into my schedule), show it off to Wendy and try to hide it from the sight of Yifan? Hmmm… It is so appealing the happiness NOW, is more valuable than the happiness of tomorrow. (An experiment from another psychologist shows that people generally value $100 right now, v.s. $1000 the same day after 10 years). It leads to the broader question: what is exact the value of NOW, vs even few hours later. A typical example is about buying a book. You enter a bookstore and you see a really good book. You know it for sure that Amazon offers 20% off of the same thing. Still, there are a lot of people (including me) want to buy it now, v.s. wait for its delivery even the second day. If the difference is, let’s say, 1 dollar, most people don’t bother. Just buy it. If the difference is $20, not sure. The different becomes $200? Most people would buy it online. Why is that? Shall I see the value of NOW vs 24 hour later is $20 on average? Where does this price comes from? Proportional with daily salary, or anything else? I am just very curious. OK. That is factor #1. As a rational decision, shall we take the dollar amount cost of “waiting” into consideration and compare it with the value a better processor brings? Another interesting finding I got was, the time and energy needed to make a decision does not vary too much for things with different dollar value. Choosing the flavor of ice cream is as time consuming as choosing a MacBook, and not proportional less easier than choosing to buy a house, a round of corporate financing. Rationally, I understand that buying a house is a bigger decision. Sometimes, just because I like the shape of window, or it is 2 miles nearer to work, we’d choose a house over another one, which easily cost us the money to buy a MacBook every month for the next few years. But the decision to choose which model of MacBook is equally time consuming. Why is that? Is it because the human brain develops without the concept of money 1 million years ago so it does not have that function (without good training on that)? Or is it because both decisions cost the same circle of CPU time of our brain, regardless of the value? A lot of people choose to form some “my favorite …” to help on that. “My favorite is strawberry” – that helps me a lot in choosing my flavor for ice cream, and that is the tendency I squeeze myself into just a small corner of the world, with no chance to explore the chocolate flavor, or the land at the other side of the sea. What bothers me is, why I spent some much time on this decision at the first place. I agree that there are some type of feeling losing face involved to claim I won’t return it in the last blog. I actually thought it was not a factor at all, but after deeply replay what I thought, I admit it was a factor. However, with just marginal impact. People know me I openly admitted a lot of thing that makes me to lose face on this blog. I enjoy the fact to discover how stupid I am, because I am just a human. Just like life is perfectly imperfect, I am perfectly stupid a lot of times. Let me share something embarrassing that I didn’t tell in the last post. I actually visited the Apple Store the last night in Palo Alto, and wandered in it for half an hour, and still didn’t make up my mind to return it. I called Wendy and shared how embarrassing I was to spend so much time on such a simple decision, while I can make a decision worth of few million USD, in an hour. But, I don’t feel bad about it. Benjamin Disraeli said “Fear makes us feel our humanity.”, my incompetency to make a decision quicker also makes me feel my humanity, and I am genuinely curious about why is that. Well. I admit if I had known about the news, I won’t buy it. I just didn’t know. Why? Just because lack of time and energy to track the new tech stuff. I didn’t open the box of MacBook Air not because I don’t see the value of NOW, as I just mentioned, it is because I think it is a bad idea to open the box to check out what’s new at 3 am after finish some important documents. I already regretted to open Nexus One at Night during my last trip in 2010. The deeper reason why I didn’t trace the technology trend as I did when I was college graduate is, I started to find more source of happiness, and think it is less and less important for my life (a sign for aging?). I chased Intel 8086, 286, 386, 486, Pentium, Pentium II, Windows 3.2, 95, 98, Me, 2000, XP in my old days, and I chased the release of many product, but my recently ignorance of technical trend actually made me feel better. I didn’t notice the slowness of iPhone until someone tells me how powerful the future iPhone will be. I didn’t complain about not able to share the photo wirelessly to my iPad until I watched the launch of iCloud of OS 5. “Stupid!” I should NOT have watched, which let me aware of how out-of-date my current iPhone is, even before OS 5 is available. That desire for the better aligns our desire to get a bigger house, a better car, more money in the bank account (how strange it is that most people think bank account balance more important about the quality of the breakfast before their face). Shall we simply get rid of the desire, or at least constrain it a little bit by focusing on just a few desire, not everything? After thoroughly examine what I thought, and explorer the reasons behind every thought, I felt great satisfaction about know the humanity of myself better. The value of getting a MacBook Air right now is not that important to me. I still want it, but I can wait for another month. I will return it on the way to Stanford fireworks tonight, with peace in my mind. If you have another reason that I should or should NOT return it, please leave a comment. It will increase my level of happiness if you share this article to your friend (my humanity also include certain level of vanity). Here is an interesting story, the most interesting one I got in the last few days. I bought myself a MacBook Air. I was happy, excited, and cannot wait to open the box, and use it. I posted a blog article, and happily fell asleep. The second day, I wake up, only found the crucial truth, which my readers told me in my blog comment section: “wrong decision”, “stupid”, “return it to store”….. Not because of the product is not good, because a new version of release of Apple MacBook Air is expected to release in two weeks! The new model comes with Thunderbolt, faster CPU, and Mac OS X Lion operating system. Apple is kind enough to offer a two week return service. I can simply send it back to store (I didn’t opened the box), and get the money back. Wait for another 2 weeks, and get a brand new MacBook Air. Well. When I hesitated about whether I should return it, another factor came out. The California State cut tax rate by 1 percent point. That is 10% saving on tax, resulting to about $15.77 saving. That started just two day after I made the purchase. Should I return it? Surely I should! The direct reason is, I am evaluating the happiness I get to use the new laptop now, and the happiness I may have to wait for another 2 weeks, and getting a better one. In Daniel Gilbert’s book Stumbling Upon Happiness, the both are called synthetic happiness – the happiness people imagined. Unlike nature happiness, it is the happiness we *think* will be, and most of the time, it is pretty wrong (I buy in the idea of Daniel a lot). Now, there are two conditions in this experiment. In one case, the students are told, “But you know, if you want to change your mind, I’ll always have the other one here, and in the next four days, before I actually mail it to headquarters, I’ll be glad to” — (Laughter) — yeah, “headquarters” — “I’ll be glad to swap it out with you. In fact, I’ll come to your dorm room and give — just give me an email. Better yet, I’ll check with you. You ever want to change your mind, it’s totally returnable.” The other half of the students are told exactly the opposite: “Make your choice. And by the way, the mail is going out, gosh, in two minutes, to England. Your picture will be winging its way over the Atlantic. You will never see it again.” Now, half of the students in each of these conditions are asked to make predictions about how much they’re going to come to like the picture that they keep and the picture they leave behind. Other students are just sent back to their little dorm rooms and they are measured over the next three to six days on their liking, satisfaction with the pictures. And look at what we find. First of all, here’s what students think is going to happen. They think they’re going to maybe come to like the picture they chose a little more than the one they left behind, but these are not statistically significant differences. It’s a very small increase, and it doesn’t much matter whether they were in the reversible or irreversible condition. Wrong-o. Bad simulators. Because here’s what’s really happening. Both right before the swap and five days later, people who are stuck with that picture, who have no choice, who can never change their mind, like it a lot! And people who are deliberating — “Should I return it? Have I gotten the right one? Maybe this isn’t the good one? Maybe I left the good one?” — have killed themselves. They don’t like their picture, and in fact even after the opportunity to swap has expired, they still don’t like their picture. Why? Because the reversible condition is not conducive to the synthesis of happiness. So here’s the final piece of this experiment. We bring in a whole new group of naive Harvard students and we say, “You know, we’re doing a photography course, and we can do it one of two ways. We could do it so that when you take the two pictures, you’d have four days to change your mind, or we’re doing another course where you take the two pictures and you make up your mind right away and you can never change it. Which course would you like to be in? ” Duh! 66 percent of the students, two-thirds, prefer to be in the course where they have the opportunity to change their mind. Hello? 66 percent of the students choose to be in the course in which they will ultimately be deeply dissatisfied with the picture. Because they do not know the conditions under which synthetic happiness grows. Is the return policy really increase people’s happiness? It helps the sales, of cause, because that is what people want. But on happiness, maybe not. People don’t know what makes them happy eventually. The brain immune system automatically protects itself, by thinking the item you already own is the best. After owning the MacBook Air for one night (for as short as one night), my immune system started to work, and believe the very MacBook Air on my hand is better than others, even the one on the stack with exactly the same model. Do you also have the same experience. It is so at least for me. That is exactly why the ‘bring home now, and return it any time” policy work to drive sales – few people will dislike what they bought home already. Although I acknowledge the fact that this is not a rational decision, it is just the illusion of my own brain, and my brain is cheating me, I am still incline to flow with it, since it brings more happiness. This is how brain works. Because of the choices, if there is anything goes wrong with the exchanged new laptop in the future, even for a little bit, people may started to think about fact that it is returned, and may wonder if I make the right choice. That makes people painful. If there is no any chance to change, people are generally happy. For example, you will feel better to sit at airport doing nothing waiting for flight, than sitting at coach of sofa at home doing nothing, when there is nothing hold you back – you have to go and do something. If whatever you do does not make a difference (like when the flight arrive), the pressure go away. For something you completely have no control with, like weather, you feel happy about most of the weather. What a chaos, and how painful it will be if everyone have to choose a weather everyday! I believe to keep the current one keeps me happy, and for the sake of happiness, I won’t return it, and see what happens, and how I feel after few days.